You may have noticed that some time passed since our last eNews. 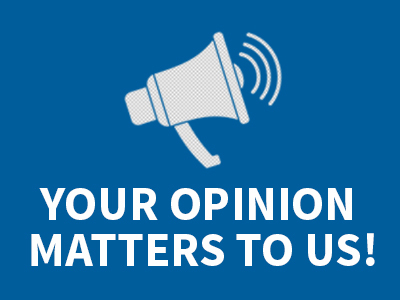 We wanted to take the time to think about how to improve our communication with you overall. As one of our main communication channels is the eNews, our goal is to provide you with valuable information in a form you will enjoy reading. To that end, we have prepared a survey which we would like to invite you to fill in. It should only take a few minutes of your time. Many thanks in advance for helping us tailor the newsletter to your wishes!